The American Academy of Ophthalmology has designated June as Cataract Awareness Month. 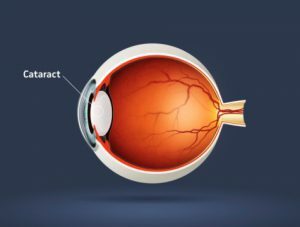 The purpose of this designation is to help educate the public on what cataracts are and how to treat them once they are diagnosed. Cataracts are a clouding of the lens of the eye. This will result in blurry vision, and since less light is being transmitted, objects will appear darker as well. 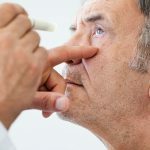 It is estimated that 25 million people in the United States age 40 and older will be diagnosed with a cataract, and by the time people reach the age of 80, more than half of the population of the United States will be affected with the disease. Cataracts are classified by what causes them. Age is the biggest factor, followed by eye trauma, congenital causes and secondary to taking certain medications like steroids. 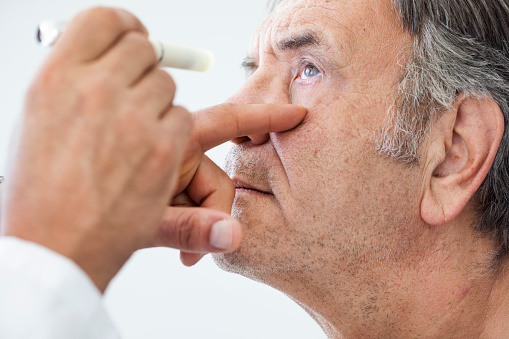 There are a few ways to lower the risk of developing cataracts, but they may not be completely successful. Treatment for cataracts involves a surgical procedure which removes the old lens of the eye and replacing it with a synthetic one. It is a very common procedure and considered relatively safe. If you would like to schedule an appointment with an eye doctor at Jamaica Hospital, please call 718-206-5900.